Maggie grew up in the Northern Kentucky area and currently resides in Kenton County with her husband and two children. She received her Bachelor’s degree from the University of Louisville and Master of Science in Nursing degree from Northern Kentucky University. She has experience in pediatric pulmonology, pediatric surgery and pediatric bariatrics. 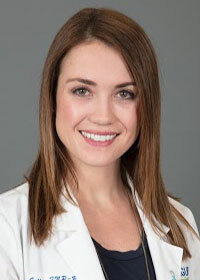 At Figure Weight Loss, Maggie assists our physicians and is passionate about working with our patients to achieve their weight loss goals by making healthy lifestyle changes.